Hello all, i have a problem on my 2000 Century. The headlights wont come on weather the headlight switch is pulled or even if the auto headlights are engaged. The rear tailights and the dash lights will work and the corners, but no headlights. The brights will not go on either. Can anyone help me with any ideas? Like i said the brights do not work either, hopefully that narrows down the problem. Last edited by 2000Century; 09-13-2018 at 06:18 PM. Since so many features are protected by fuses , that is always a good place to start. Usually in the owner's manual there is a diagram that shows the position and size fuse used and what features they protect. If those fuses check out OK, then check for a loose/missing ground wire up front that would be for the headlights. Those are the first things we confirm, power and ground connections. I haven't had much of a chance to look at yet but was able to get the lights to turn on for acouple nights by pulling the brights (turn signal switch) on and off a bunch if times until they turn on. The brights won't come on, but the regular headlights will turn on and off as I'm trying to flicker the brights. Question, can the problem be the wiper switch? Will the headlights come on if the wiper switch is disconnected? Would follow Hanky's advice but was thinking of relays also. Believe this is accurate representation of what you have. Hello all.. I got to the headlight relay as shown/suggested and it was good. The chart shown is close, except the 4th relay (closest to passenger door as shown in the chart) was not there and was factory mounted closer to the little interior bulb near the passenger kick panel. I looked at all 4 relays and noticed they were all the same amp/part #'s so I was switching them around trying to get the headlights to come on but no luck. 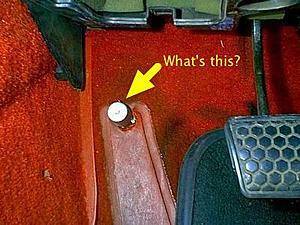 I believe you are on the right path going after the dimmer switch for the headlights located on the steering col. Sometimes we get lucky and find the switch may only be loose, but once you get to it you will be able to confirm if that is so or not. I went down the the local wrecking yard and picked up a identical headlight switch off of another 2000 Century, installed it and still No headlights. I was going to take the turn signal switch from that car being I mostly think thats the problem but it looked to ugly and felt to used moving it around. I ordered 1 off of Ebay, will have it in acouple days and will update here when installed. The dimmer sw is usually a separate sw mounted on the strg col. The "smart stick" only moves the dimmer section and is usually independent of the signal light sw assy. Might pay to take a closer look ! Sorry on the last not being exact illustration, seems you ask for one thing and Bing will bring up that and all variations. Not to change topic but what ever happened to the floor dimmer switch, think those were way better than the steering column cluster? So easy to replace those and left foot is usually resting someplace anyways. Last edited by Rich B.; 10-01-2018 at 04:32 PM. I can't state the exact year, but around 1948-49 I recall seeing a vehicle made by Kaiser that had a similar button next to the floor headlight dimmer sw that changed radio stations for you. Next to vocal , I think it was a little before it's time. Don't know for sure, but a lot of those dimmer switches corroded badly due to moisture on the floor, maybe that had something to do with it.